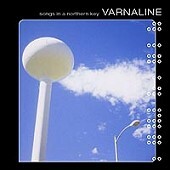 Varaline's Songs in a Northern Key is an enchanting, engaging, beautifully composed album orchestrated with mainly vocals and an acoustic guitar. Lush string arrangements, among other things, add depth and a sonic touch to the songs, giving them a bright, blinding urgency to them. Though the strings and instrumentation are rather low in the mix, their presence is well felt and heard, pushing the songs beyond the limits of what you would expect. And, then there are the full band tracks, which shoot straight at the heart, laying and nesting their gentle, soothing melodies in your heart as you fall prey and surrender. This is a delightful, exhilarating album sure to capture fans and critics alike throughout 2001 and beyond. I'll give it an A+.